Cast your mind back to a month ago. Liverpool fans were left stunned when Mohamed Salah went down injured in the Champions League Final following a tussle with Sergio Ramos. They’d eventually lose said game to Real Madrid, the final score, 3-1. 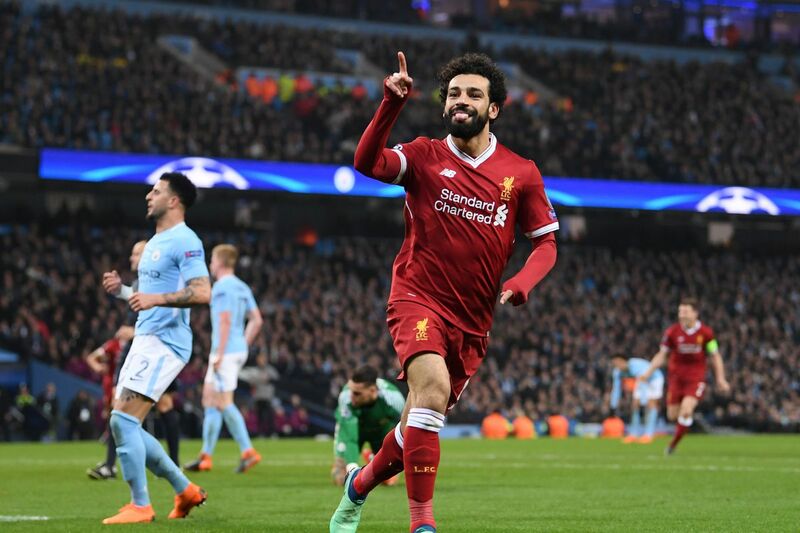 Salah would also go on to miss Egypt’s World Cup opener against Uruguay. He returned to play hosts, Russia, looking like a shadow of his former self. Presumably, Salah tried to put himself through the pain barrier in order to give The Pharaohs the best chance possible at qualification. Unfortunately, their tournament is all-but over following back-to-back losses. As the old saying goes, every cloud has a silver lining. Egypt’s loss is Liverpool’s gain. No longer will Jurgen Klopp have to worry about his star man struggling on deep into July. Instead, Salah will now get a month off; allowing him to rest, recuperate, and recharge the batteries. Scoring 44 goals from the wing, at a new club no less, is a truly brilliant achievement. Nobody expected Salah to hit the dizzy heights that the Egyptian reached last term. At his peak, he was up there amongst Europe’s elite. Now the pressure is on to back that up. All eyes of the footballing world will be firmly on the effervescent 26-year-old. Thankfully, everything at Liverpool is in place for Salah to repeat the feat. Klopp’s tactics allow attacking players to flourish, just look at how much Sadio Mane and Roberto Firmino have improved under the German’s enthusiastic guidance. Salah’s unique skillset gives him every opportunity to continue with this rich vein of form. His pace, directness and sheer hard work is something that’s become borderline unstoppable. Just look at the damage he did to the record-breaking Manchester City side over two legs. At times, he was toying with their back line. Quite frankly, he made it look easy. In 2018/19, he’ll have even better players feeding him the ball. The addition of Naby Keita is sensational. The Guinean’s ability to pass into space, coupled with his willingness to drive into the opposing penalty area will only create more opportunities for Liverpool’s new hero. That’s a scary prospect in itself, and I’ve not even discussed the added-freedom for him that acquiring Fabinho will bring. At the highest level, it’s all about confidence. Salah has that in abundance. He believes in his own ability — why shouldn’t he? Not only is he capable of producing the spectacular, be it through a long-range effort or mazy run, he’s able to do the dirty, work, too. The Egyptian can do it all. His fellow squad members absolutely idolise the man. Possessing that leadership quality isn’t something that everyone has. It all starts with good, old-fashioned hardwork. Despite Salah not being mightily tall in stature, make no mistake about it, he’ll go toe-to-toe with even the sternest of defenders in a physical battle. I lost count at how many times his sheer effort was enough to win the ball back for his team. With that attitude and dedication, you’re always going to have a chance. It’s that trait what kick-starts the sheer genius that Liverpool’s new cult hero is capable of, and we’ll certainly be watching on with intrigue on the opening day of the new campaign; to see whether he can sprinkle that little bit of magic once more. We’ve already alluded to the fact that last season was Salah’s first full campaign in English football. If that was his bedding-in period, I simply cannot wait to watch the huge strides he’ll make over the next twelve months. If he starts the season well with Liverpool in the running for trophies, don’t be surprised if we’re looking at the man to break Cristiano Ronaldo and Lionel Messi’s grip on the Ballon d’Or. Could Manchester United Move for Jack Wilshere?